Global Cache’s TCP/IP (Ethernet) iTach Flex is an industry first, smart end-point that network enables electrical devices instantly. The Flex adds intelligence to the enabled device, allowing events and tasks to be triggered with simple web-based commands. The Flex includes on-board memory allowing for stored web pages and files, and web page control. The Global Cache Flex Link Blaster Cable is a cable accessory designed specifically for the iTach Flex Ethernet and Wireless smart end-point devices. It brings line of sight infrared blast functionality to the iTach Flex Ethernet and Wireless smart end-point devices. It features a range of 20 – 30 feet and allows the iTach Flex Ethernet/Wireless smart end-point to control multiple IR based components at one time. 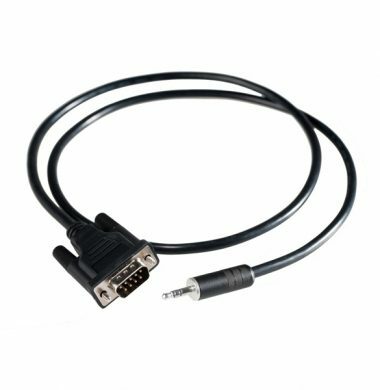 You can use in the Flex 3.5 mono jack or on port 3 of the Flex Link Tri-Port cable. The iTach Flex Link Tri-Port Cable enables up to 3 iTach Emitters or 1 iTach Flex Link Blaster and 2 iTach Emitters to connect to the Global Port on an iTach Flex IP or iTach Flex Wi-Fi edition. This cable is not compatible with the iTach IP2IR or WF2IR. The iTach Flex is required. This cable is not equivalent to a splitter. iTach Emitters and the iTach Flex Link Blaster cables are separate items. Some configurations of the iTach Flex already include this cable. This item allows it to be ordered after an initial configuration that did not include it. 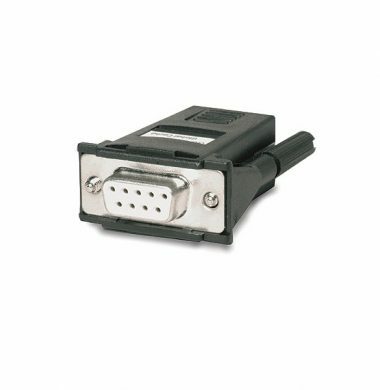 Used to connect the Global Cache iTach Flex devices to RS232 devices such as lighting control, blind control, audio visual equipment and much more. Global Caché’s GC-IRL IR Learner is a must-have tool for every dealer, installer, and home automation enthusiast. The compact GC-IRL is used with a PC to learn the full spectrum, 30KHz to 500KHz, of IR codes that control infrared driven equipment. When used in conjunction with the free GC-IRL Utility, the learned code is displayed, converted into other formats, and automatically copied into the Windows clipboard. 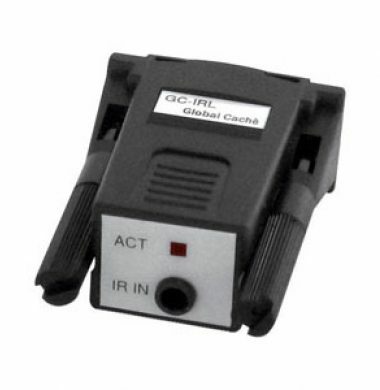 The General IR Receiver plugs directly into the GC-IRE IR Extender to capture and digitize IR signals. Global Caché’s General IR Receiver can also operate within a Xantech or Xantech compatible environment. 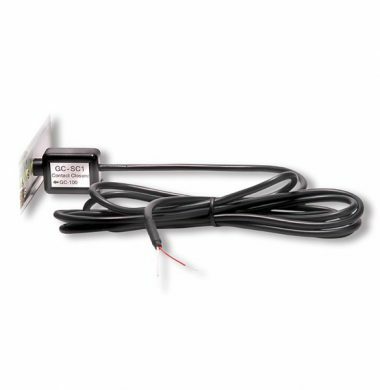 The Global Caché GC-SC1 contact closure sensor detects the open-and-closed status of a pair of isolated contacts, such as a relay or switch. 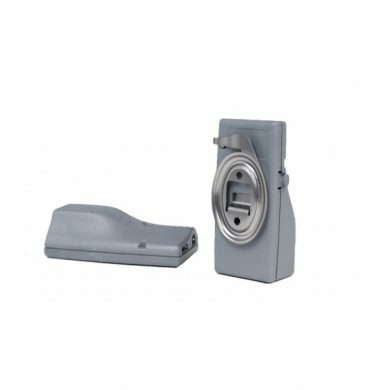 It is ideally suited for detecting contact closure on blinds, thermostats, security contacts, and door states. Its circuitry provides a rapid response to contact closure (4mS) with a slow response to contact opens (75mS). 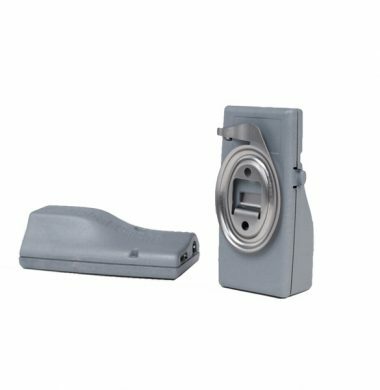 This eliminates false triggers due to contact bounce created by mechanical contacts coming together, such as push buttons or relays. 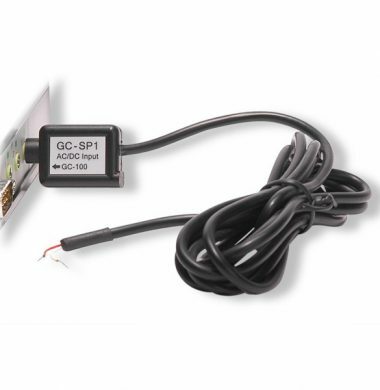 The GC-SP1 monitors the on-and-off status of electronic components by detecting an AC or DC voltage greater than +/-2V. Voltages up to +/-24V can be connected to the GC-SP1 to determine the powered state of equipment, power strips (via a wall adapter), or the “ring” condition on a telephone circuit. 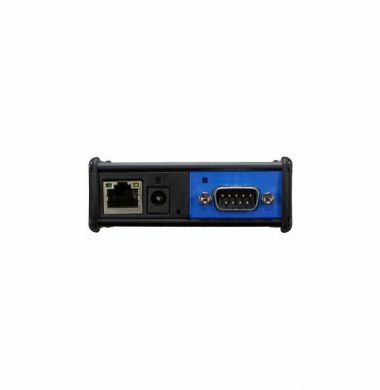 The GC-SV1 Video Out Sensor monitors the on-and-off status of video equipment by detecting the presence of a composite video signal. It is ideally suited for determining the power state of DVDs and VCRs. 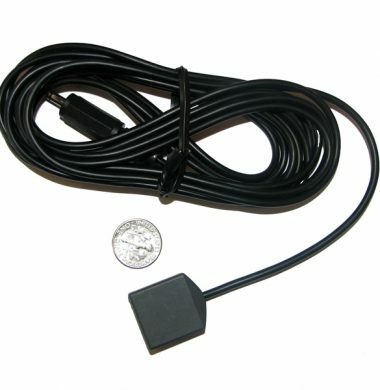 The device can be plugged directly into the Global Cache GC-100 network adapter connecting the sensor to the network. Additionally, the GC-SV1 will work with other controllers that provide 5V power and accept digital logic (TTL) input. 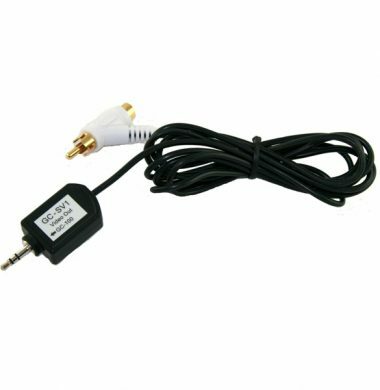 The GC-SV1 has a standard 3.5 mm stereo jack. The iTach IP2IR TCP/IP (Ethernet) devices provide a new level of automation and control flexibility and the easiest and most advanced way to use your iPad as a TV remote control! Use the iTach IP2IR to connect your television and audio visual equipment to your home network and then control them with your iPad & iPhone remotes such as Roomie Remote, iRule, Demo Pad etc. The Global Cache IP2SL is a network controller that can turn TCP/IP commands into RS232 codes which can control equipment. Used most commonly to interface to systems such as heating, lighting and also to control audio visual equipment from smart phones and tablets using a range of softwares and apps available. Consider the Global Cache IP2SL the glue between your smart phone/tablet and your heating, lighting, security and audio visual systems. The Global Cache IP2SL-P is a network controller that can turn TCP/IP commands into RS232 codes which can control equipment. Consider the Global Cache IP2SL-P the glue between your smart phone/tablet and your heating, lighting, security and audio visual systems. Featuring Power Over Ethernet you’ll be able to deploy units throughout your installation and power them from a POE enabled switch or injector. This removes the need for local power supplies and can reduce installation costs. 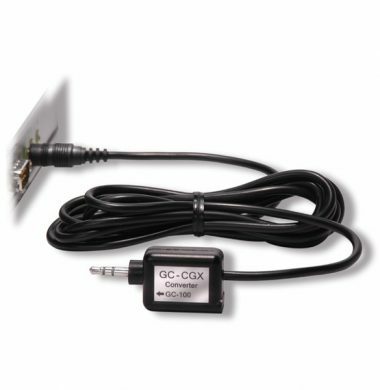 The GC-CGX is used to connect a Global Caché IR output (GC-100 or iTach) to a Xantech IR input. Global Caché IR outputs are converted to meet the IR input requirements for a Xantech IR distribution environment. IR signals from 30KHz to 72KHz can now be sent through an existing Xantech IR installation directly from one of our units. The GC-CGX is optically isolated to ensure circuit isolation and protection. The Global Cache IP2CC is a network controller that can turn TCP/IP commands into physical contact closures. Consider the Global Cache IP2CC the glue between your smart phone/tablet and your gates, doors, roller shutters and security systems. 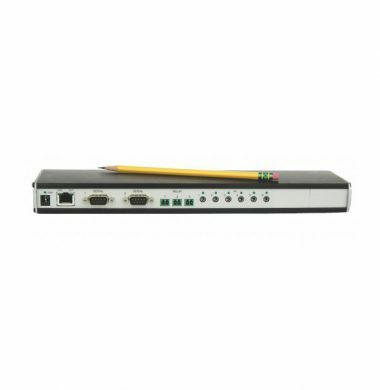 The Global Cache WF2IR is a wireless network controller that can turn TCP/IP commands into physical infrared signals. The WF2IR is used most commonly to control audio visual equipment from smart phones and tablets using a range of different software options and apps. 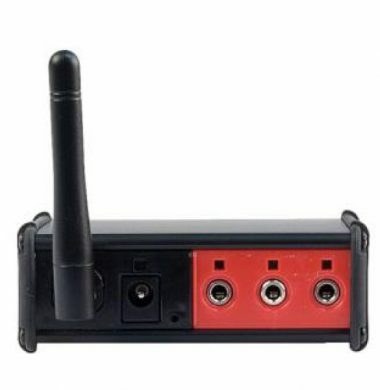 Consider the Global Cache WF2IR the glue between your smart phone/tablet and the physical equipment such as a television, blu-ray player etc.Featuring wireless connectivity, the WF2IR can easily be added to your network via Wi-Fi. 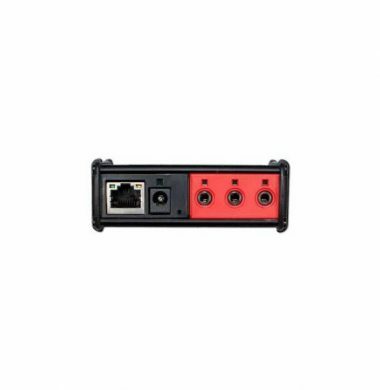 Ideal for situations where there is no network port but you want to add control of some equipment. If you are in the trade or making multiple purchases of this product in excess of 5 units please call for discounted pricing. The new wired Global Cache iTach FLEXIP is the ultimate smart home automation tool, the small form factor allows it to be hidden out of sight. 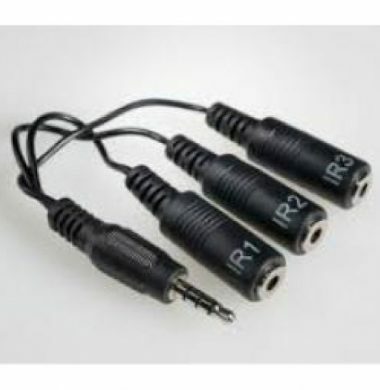 With the infrared emitters and tri-port splitter cable you can control up to three infrared devices. Or choose the RS232 cable to take control of RS232 equipment such as lighting control systems and heating control. 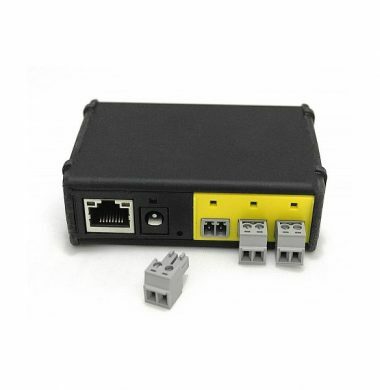 The Global Cache iTach Flex wired provides powerful, inexpensive, and simple connectivity to almost any infrared or RS232 device so it can be controlled and automated using an iPhone or Android app on a smartphone, tablet, or any other user interface. Historically, automation and control products have been complex and expensive, used almost exclusively by the very wealthy. That changes with the easy availability of control apps on the iTunes Store and Android Marketplace, and the ability to connect almost any device in the home to a WiFi or wired network using the Global Cache iTach Flex wired. 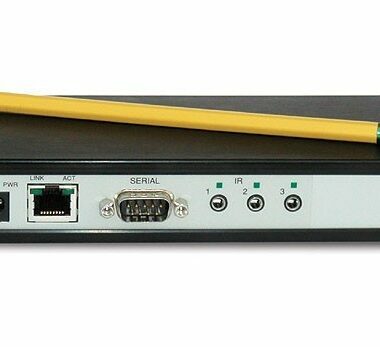 The Global Cache IP2IR-P is a network controller that can turn TCP/IP commands into physical infrared signals. 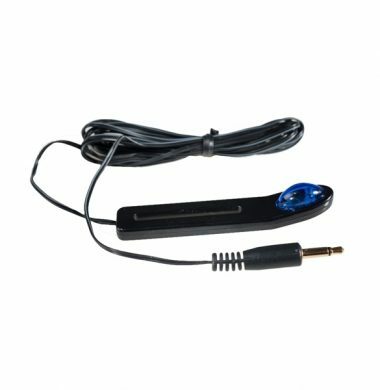 Used most commonly to control audio visual equipment from smart phones and tablets using a range of softwares and apps available. Consider the Global Cache IP2IR-P the glue between your smart phone/tablet and the physical equipment such as a television, blu-ray player etc. With the Global Cache IP2IR-P you can use a Power Over Ethernet switch to remotely power the device, this makes installs quick and easy without the need of local power sockets. The Global Cache WF2CC is a network controller that can turn TCP/IP commands into physical contact closures. 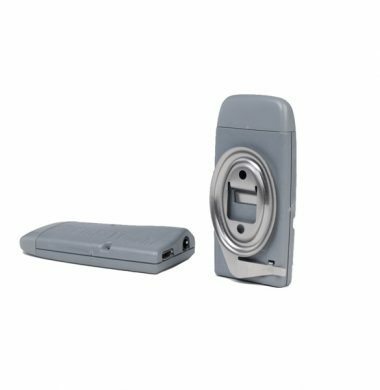 Consider the Global Cache WF2CC the glue between your smart phone/tablet and your gates, doors, roller shutters and security systems. 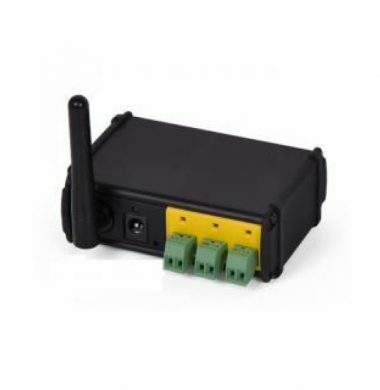 Featuring wireless connectivity the WF2CC is quick and easy to add to a network. This means you can add control to locations that don't have a network cable! 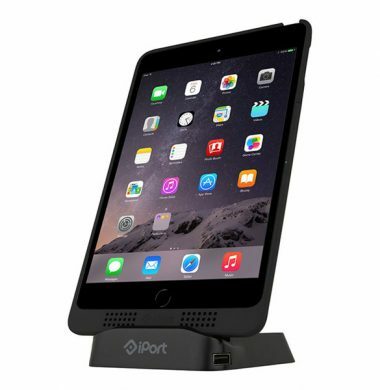 New from iPort, the iPort Charge Case and MK2 Stand for the 9.7″ iPad and the iPad Air including the Generation 5 iPad. This super slim charging case fits neatly into its desk mountable charging stand. Your iPad is encased by the slim but sturdy iPort Charge Case, adding protection for your iPad, but it can easily be slotted onto its MK2 Charge Stand for continuous charging whilst in an upright position. The case can be mounted in either landscape or portrait position for ease of use. As your drop your case into the Charge Stand 2 it slips in easily as the stand has magnets to auto-align the case for effortless charging and secure mounting. 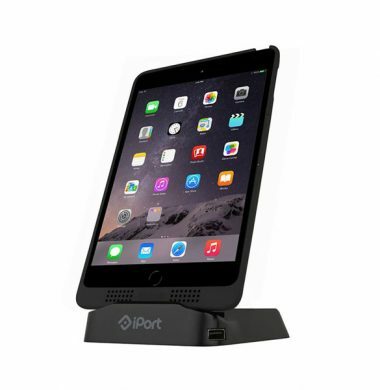 New from iPort, the iPort Charge Case and MK2 Stand for iPad Mini 1,2,3 and 4. This super slim charging case fits neatly into its desk mountable charging stand. Your iPad is encased by the slim but sturdy iPort Charge Case, adding protection for your iPad, but it can easily be slotted onto its MK2 Charge Stand for continuous charging whilst in an upright position. The case can be mounted in either landscape or portrait position for ease of use. As your drop your case into the Charge Stand 2 it slips in easily as the stand has magnets to auto-align the case for effortless charging and secure mounting. The iPort Charge Case and MK2 Stand can be adjusted to three ideal angles, perfect for Face Time calls and watching movies.